As your baby grows into a more energetic toddler you’ll find that their sleep requirements will change, too. By now, they should be sleeping through the night – without night feedings, and with an average of 12 hours per night of sleep. Of course, the toddler phase ranges from 1 to 3 years old, and there will be a lot of transition in structure and sleep requirements over these couple of years. 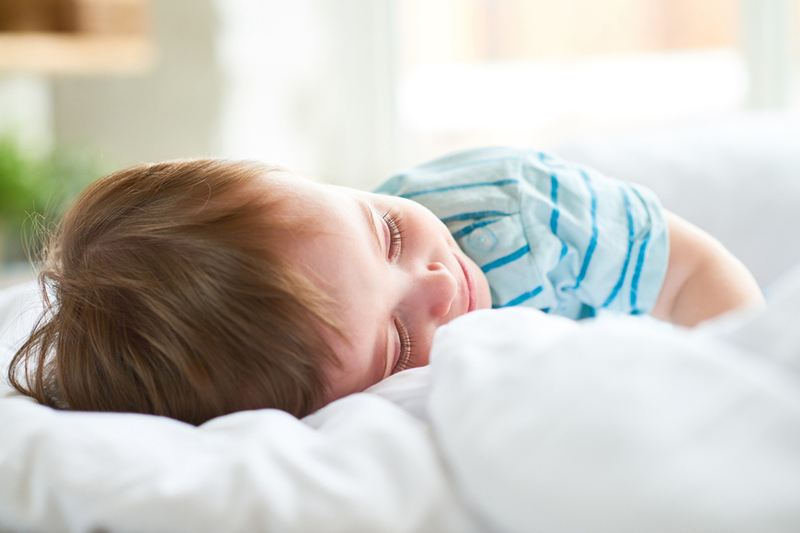 While a 1 year old may need 12 hours of solid sleep at night, with the addition of 2 naps throughout the day, a tot that’s nearing 3 years old may have less or even no naps during the day. Before we begin: the average of a toddler transitioning to one nap per day is between 15 and 18 months old. So to help you implement some routine and structure to your day, here’s three toddler schedules to help guide you during these early years. Hopefully with these schedules, your growing toddler will transition easier into having no naps through the day. If you’re still struggling to settle them down for nap time or bedtime, here’s 3 good reasons why that may be so. Otherwise, our survival guide to nap times might also be useful for you, too.